Personal wellness and wellbeing; family harmony; friendship and intimate relationship; planetary health and peace: it is quite impossible to over-estimate the crucial importance of emotional healing, awareness and intelligence. Besides the obvious solidity of the physical body, the emotional body is the densest place within our energetic field and our subtle wiring. It has force, substance and tremendous power. One great visionary remarked that anxiety is “faith that it won’t work out”. We know how this feels in our nearly-physical state of being: anxiety, grief, anger, jealousy, shame, hatred and all the other burdens that arise from the wounds of our childhood are heavy weights to carry around with us – they give substance to our fears and help these to manifest in our lives. So we need to heal these (the Emotional Rebirthing audio set is a tremendous support in this journey). But we should also recognize the tremendous creative power that exists within these emotions. Getting friendly with them is probably the best investment of time that we ever make! As these purify and clear, we can acknowledge the tremendous power of creation that is carried in the emotions of peacefulness, of awe, fascination, passion, humour, delight and joy. 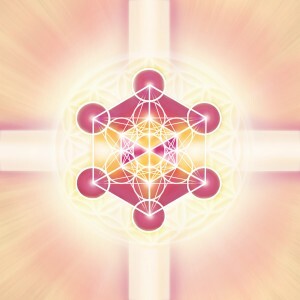 Metatron helps us to work with all of these – and all of this gives added richness, texture and depth to daily living.